Makar Sankranti is a harvest festival in India and Nepal that’s celebrated around January 14th every year. It not only celebrates the beginning of the harvest season, but also the end of the monsoon season in southern India. It also marks the lengthening of days and the warm weather of spring to come. Perhaps all of this is why it’s considered to be the beginning of an auspicious season. Makar Sankranti is also a religious celebration. It’s the festival of the sun god… the god of wisdom. It’s an astrological festival. Sankranti is the word for when the Sun moves from one Zodiac sign to another. This holiday occurs when the sun moves into the Zodiac sign of Capricorn (Makar). That’s where the name of the holiday, Makar Sankranti, comes from. The holiday is celebrated differently across India and even the name of the holiday varies. 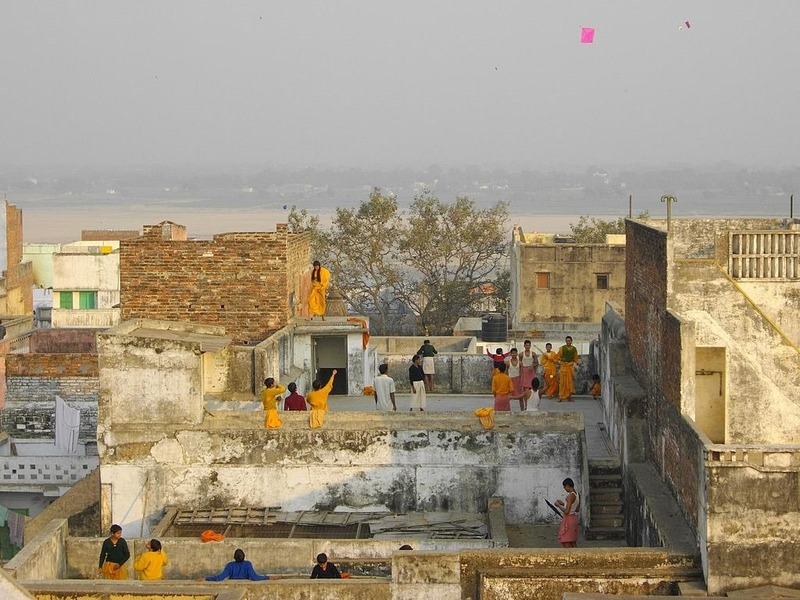 In many places, there are ritual baths in a river, kite-flying, bonfires, singing and dancing. Special dishes and sweets are prepared. The sweets usually contain peanuts, sesame seeds and jaggery (a type of cane sugar). Coconut, rice and yams are also important in some areas. Often, people get rid of old clothes. In some places, new clothes are worn for the festival. In many places there are also special rituals involving women. 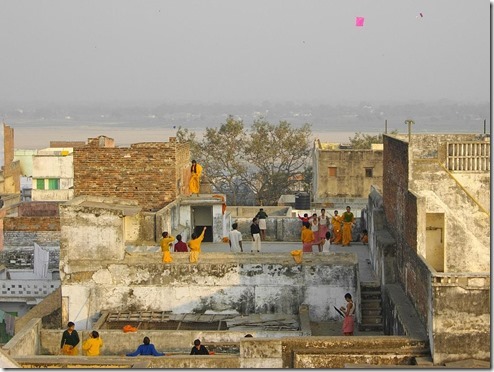 Photo: "Kite flying in Varanasi" by Yusuke Kawasaki, c.c. 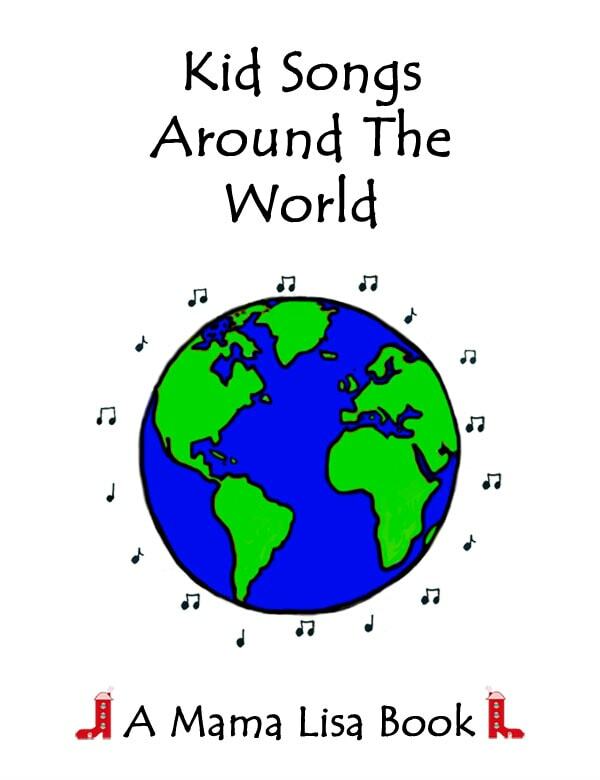 This article was posted on Tuesday, January 12th, 2016 at 9:26 pm	and is filed under Countries & Cultures, Holidays Around the World, India, Kite Flying, Lohri (Winter Festival), Makar Sankranti, Nepal. You can follow any responses to this entry through the RSS 2.0 feed. You can leave a response, or trackback from your own site.